Vancomycin-resistant enterococci (VRE) have been responsible for numerous outbreaks of serious infections in humans worldwide. Enterococcus faecium and Enterococcus faecalis are the principal species that are frequently associated with vancomycin resistance determinants, thus usually implicated in hospital- and community-acquired infections in humans. The study aim was to determine the antibiotic resistance and virulence profiles of VREs isolated from surface and groundwater samples that are used by humans in the North West Province, South Africa. A total of 170 water samples were collected and analyzed. Eighty-one potential isolates were screened for characteristics of Enterococcus species using preliminary biochemical tests, PCR assays and sequence analysis. The antimicrobial resistance profiles of the isolates against nine antibiotics were determined and a dendrogram was generated to access the relatedness of the isolates. The isolates were screened for the presence of antibiotic resistance and virulence genes by multiplex PCR analysis. A total of 56 isolates were confirmed as Enterococcus species and the proportion of E. faecium (46.9%) was higher than E. faecalis (29%) and E. saccharolyticus (1.2%). Sequence data of E. faecium, E. faecalis, and E. saccharolyticus isolates revealed 97 to 98% similarities to clinical strains deposited in NCBI Genbank. Large proportions (44; 78.6%) of the isolates were resistant to vancomycin while 16 and 3.6% of the isolates possessed the vanA and vanB genes respectively. The MAR phenotype Vancomycin-Nalidixic Acid-Streptomycin-Chloramphenicol-Ampicillin-Oxytetracycline-Gentamycin-Nitrofurantoin-Sulphamethoxazole indicated that some isolates were resistant to all of the nine antibiotics tested. Cluster analysis of antibiotic resistance data revealed two major clusters. Sixteen (36.4%), 14 (27.3%), 3 (6.8%), and 2 (4.5%) of the VRE isolates possessed the gel, asa1, hyl, and esp virulence genes respectively while the cylA gene was not detected in the study. 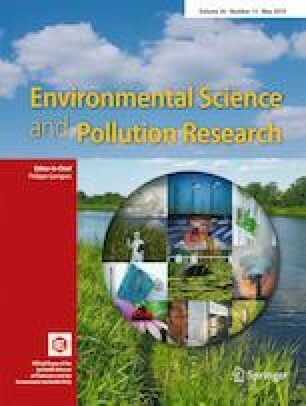 Multiple antibiotic-resistant enterococci were also resistant to vancomycin and possessed virulence determinants indicating that they can pose severe public health complications on individuals who consume contaminated water. The authors would like to appreciate contributions from colleagues of the Department of Microbiology, Faculty of Natural and Agricultural Sciences—North West University. This study was supported by funding provided by the National Research Foundation, HWSETA postgraduate bursary and the North West University Merit Bursary.